Paris is well known as one of the most romantic places to visit and there are plenty of couples who come to the city for their honeymoon or just to spend some quality time together. However, it is also a very cosmopolitan city and others come for the wonderful nightlife, to visit the world-famous museums or simply to spend some time shopping. The layout of Paris is such that getting around by public transport is easy but car rental is so cost-effective and convenient that it is highly recommended. The city of Paris has been divided into numbered areas which are known as arrodissements. Each of the areas has its own name and some share a name with their most famous attractions, such as Louvre and Bastille. 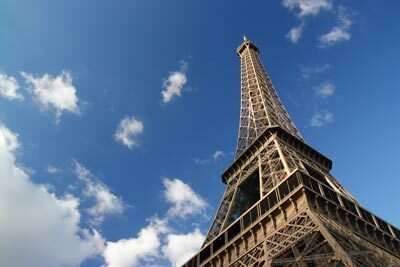 Paris is known for its arts scene and there are one or two places which are a must for tourists. Make the most of car hire and spend an evening at the Moulin Rouge. This is a cabaret venue which has been open since 1900. Artists such as Manet and Toulouse-Lautrec have immortalised the venue and visitors can still see a genuine French can-can here. The district of Montmartre is well known for its connections with the art world and in some areas it is possible to get your portrait sketched by one of the street artists. It is a very trendy area and has plenty of shops and cafes but still feels very separate from the bustle of the city centre. Paris car hire can easily take you to one of the most famous streets in the city – the Avenue des Champs-Elysees. It is home to plenty of shops and restaurants and is also home to the Elysee Palace, official residence of the French president. If history is more your cup of tea then the Cimetiere du Père Lachaise is the burial place of some very famous people. These include Jim Morrison, Oscar Wilde, Isadora Duncan and Edith Piaf. A trip to Paris is not complete without a cruise along the Seine. From the boat you will be able to see many of the main attractions of the city including the Eiffel Tower, Notre Dame and many more. Enjoy a leisurely cruise before trying some genuine French cuisine in one of the many restaurants close by. Paris car rental is something of a life-saver. When you have a long list of places that you want to visit and only a short time in which to see them all then it would be a shame not to travel around the city at your own pace to see everything that you want, when you want. Most major car rental agents in Paris offer one way rentals. One-way rental is when you collect the car in one place and return the car in another location. In most cases the car rental agent will charge an extra fee if you wish to return the vehicle at a different location. In the terms and conditions will state if the one-way fee is included in the rental price. If the one-way charge is not included in the rental price, the one way charge needs to be paid on arrival directly to the car rental agent. Last month, the average car rental length in Paris was 6 days. The average rental car length in Paris is 2 days. The most booked rental car type currently in Paris is MINI cars. Last year, the most booked rental car type in Paris were COMPACT cars. How much does it cost to rent a car in Paris? Last month, the average car rental price was 256 USD. Last year, how much did it cost to rent a car in Paris? Last year, the average car rental price was 136 USD. What is the current average daily price to rent a in Paris? Last month, the average rental price was 42 USD per day. How much did it cost to rent a car in Paris over the past 12 months? Last Year, the average rental price was 82 USD per day. The car rental companies available in Paris are: .